Below you can view all the homes for sale in the Stonebrier At Sugarloaf subdivision located in Duluth Georgia. Listings in Stonebrier At Sugarloaf are updated daily from data we receive from the Atlanta multiple listing service. To learn more about any of these homes or to receive custom notifications when a new property is listed for sale in Stonebrier At Sugarloaf, give us a call at 404-998-4113. Gated Community With Tennis Courts And Swim Team. MLS#6538165. W 4 Properties, Llc. 3-Car Garage! Don'T Miss This One! MLS#6534834. 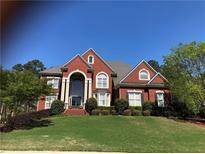 Keller Williams Realty Chattahoochee North, Llc. 3 Car Side Entry Garage, Close To Shops & Easy Access To Hwy. Do Not Miss! ! MLS#6532781. Harry Norman Realtors. Close To Amenities And School Bus Stop. MLS#6532208. Sugarloaf Realty Partners, Llc..
Gently Sloping Yard To Lake And Pretty Patio Provide Plenty Of Spaces To Sit And Relax. MLS#6525671. Harry Norman Realtors. The Kitchen Opens Up To The Grand Family Room And Also Leads Out To The Expansive Deck That Overlooks The Generous Yard Surrounded By Trees. MLS#6128723. Solid Source Realty, Inc..